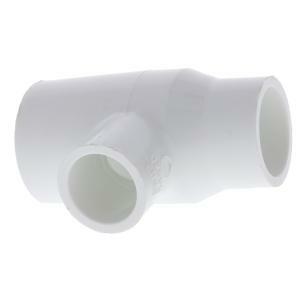 Use this Schedule 40 PVC Slip Reducing Tee when you need to connect different sizes of PVC pipe going in three different directions or branch off with a 90° lateral from a run of PVC pipe. Sizes are listed reading from left - right - center in tee formation. Slip connections require primer/glue.